The State Level Single Window Clearance & Monitoring Authority (SLSWC&MA) has approved the proposal of Reliance Cement Company Pvt. Ltd., for setting up cement plant at Nerwa in District Shimla. Reliance has proposed to invest Rs. 3400.72 crore in this plant and will provide employment to 350 persons. 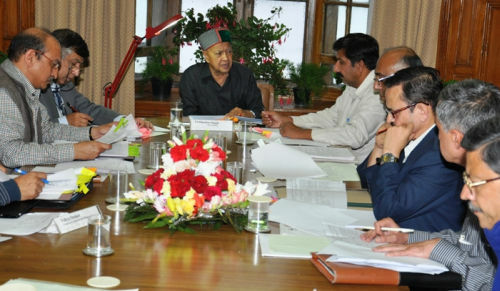 In its 72nd meeting, presided by Chief Minister Virbhadra Singh, Monitoring Authority approved other eleven new proposals for setting up new industrial units in the state and seven expansion proposals of the existing units. The combined proposed investment of these projects were expected Rs 4408.64 crore and expected to provide employment to about 2425 persons. Other new proposals approved by the Authority are M/s, H.P., M/s Amba Metal Melting Furnace Point, who has proposed to invest Rs. 35.99 crore with employment potential to 54 persons for manufacturing of rods and sheets of Iron, Aluminium and Brass, M/s Himadri Ferro Alloys Pvt. Ltd. who has proposed to invest Rs. 309.64 crore with employment potential to 520 persons for manufacture of Ferro Sillicon, M/s Barmendra Agro Tech Pvt. Ltd., who has proposed to invest Rs. 102.06 crore with employment potential to 100 persons for setting up of an Industrial Undertaking for Controlled Atmosphere Cold Storage facilities, M/s CDR Agro’s, who has proposed to invest Rs. 33.16 crore with employment potential to 184 persons for manufacturing of Starch & Allied Products, M/s Himalaya Alkalies and Chemicals Ltd., who has proposed to invest Rs. 150 crore with employment potential to 250 persons for manufacturing of Caustic Soda Lye, Chlorine, Hydrogen Gas, Salicylic acid, Hydrochloric acid etc. Expansion proposals of M/s Abbott Healthcare Pvt. Ltd., who has proposed to invest Rs. 87.87 crore with employment potential to 54 persons for manufacturing of Pharmaceutical Formulations, M/s DP Chocolates, Unit-II, who has proposed to invest Rs. 72.85 crore with employment potential to 130 persons for the manufacture of Chocolates & Chocolate products, sugar confectionary containing cocoa, compounds, chips, dips & pastes, M/s Theon Pharmaceuticals Ltd, who has proposed to invest Rs. 25.83 crores with employment potential to 173 persons for the manufacture of tablets, capsules, were approved by the authority. 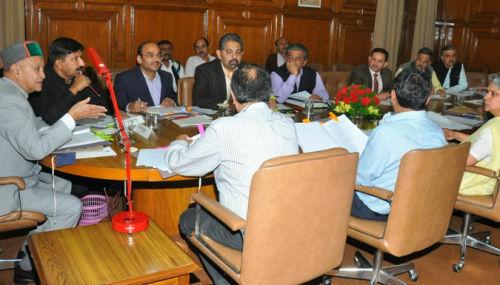 M/s Loreal International Ltd was also given approval in principle for setting up their unit in the State. Mukesh Agnihotri, Industries Minister, P. Mitra, Chief Secretary, V.C. Pharka, Principal Secretary, Tourism, Tarun Shidhar, F. C. (Revenue & Forests) Dr. Shrikant Baldi, Principal Secretary, Finance and Excise and Taxation, SKBS Negi, Principal Secretary, MPP and Power, R.D. Dhiman, Principal Secretary, Industries, Er. R.K. Sharma, Engineer-in-Chief, Irrigation and Public Health, Vineet Kumar, Member, Secretary, H.P. 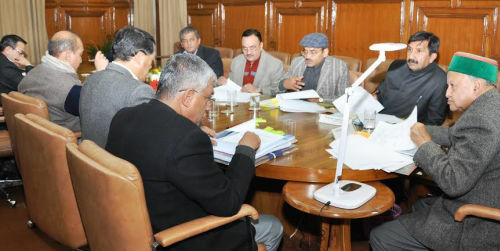 Pollution Control Board, and Rajender Singh, Director of Industries were also present in the meeting.